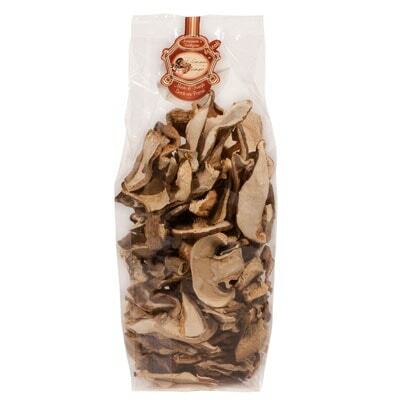 A bag of Mushroom Assortment with Porcini, this product from Piemont Fungo can be a great addition to your soups, pasta, or risotto dishes. It can also be an awesome ingredients for omelets as well as meat dishes. This precious bag is a lovely mishmash of five flavorful mushrooms that come from the Piedmont region. One thing to remember when using them though is that they need to soak for a few minutes. The average time you need to rehydrate the mushrooms is from 20 minutes to half an hour. Planning to whip up your family’s favorite meat, vegetable, or risotto dish? Then get a pack of these five aromatic dried mushrooms today!